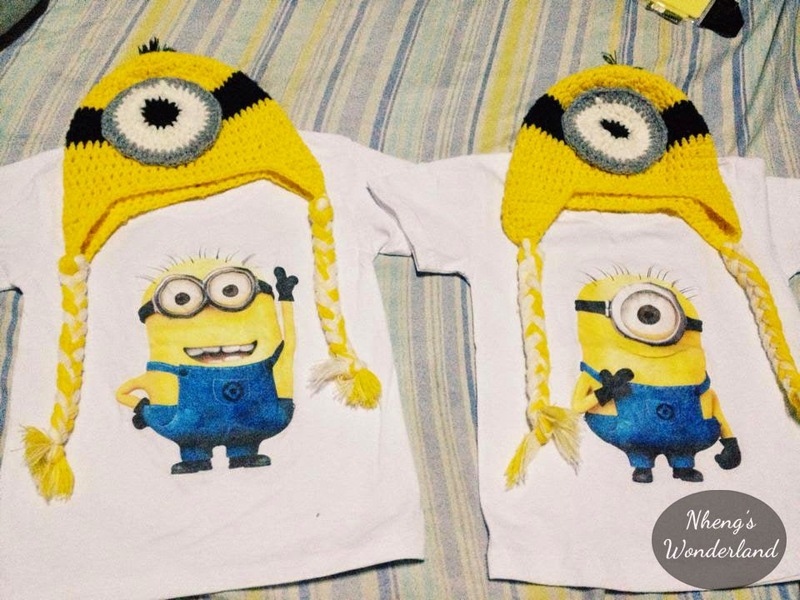 You can see from this post that I am planning a DIY Minion Party for my Twin's 1st Birthday. 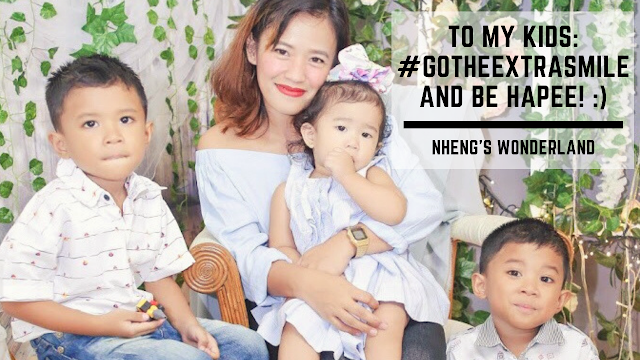 On this post, I will show you some of the things that I already bought and what I already DIYed for our simple party. 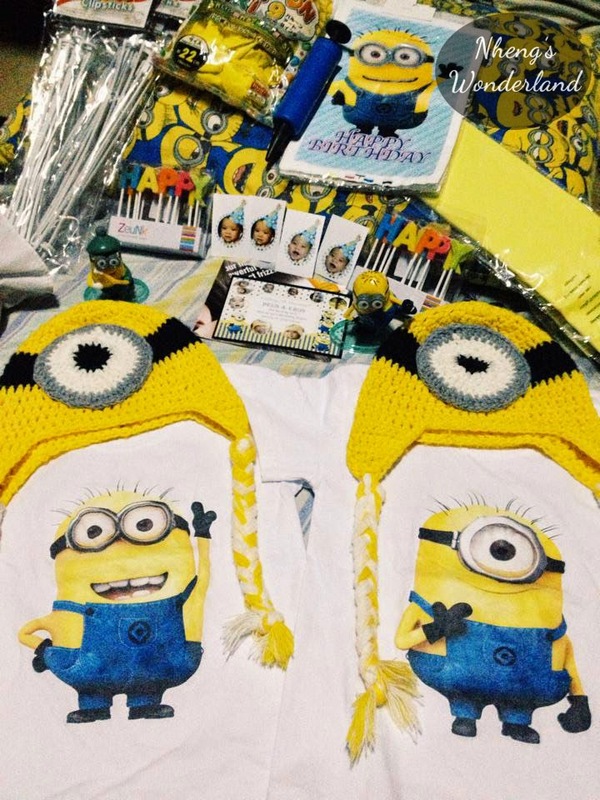 Minion Crochet Beanie which is made by yours truly. 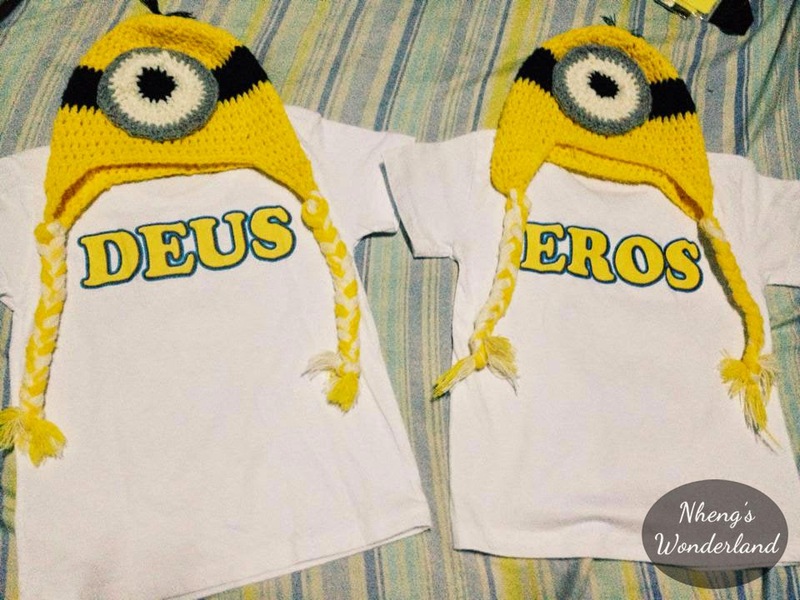 Ordered the customized minion shirts at Sta. 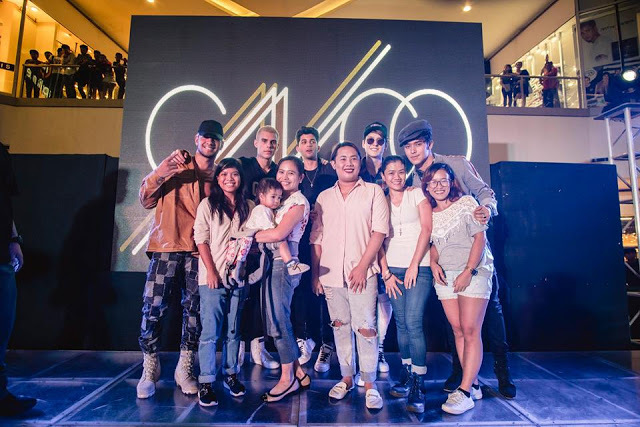 Lucia East Grand Mall worth P240.00 each in Philippine Peso. It had their names at the back of the shirts. I ended up doing the normal invitation and because this is not really the invitation that I wanted. 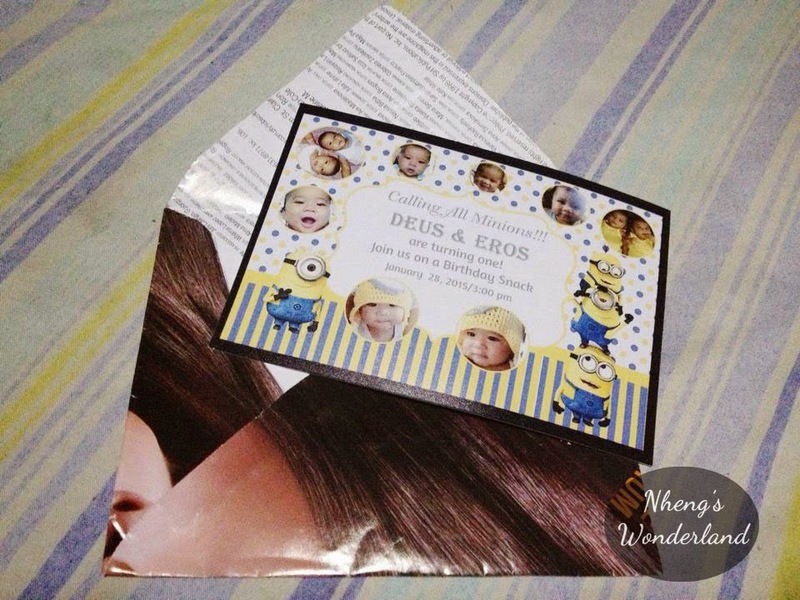 I just DIY the envelope out of old magazine! 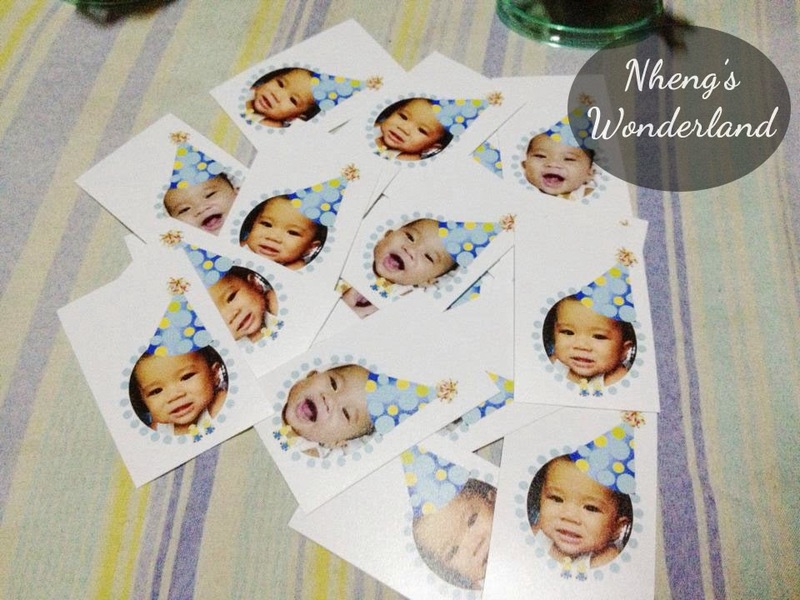 Made these cupcake toppers via Photoshop. I will buy a simple round cake and will add these toppers. 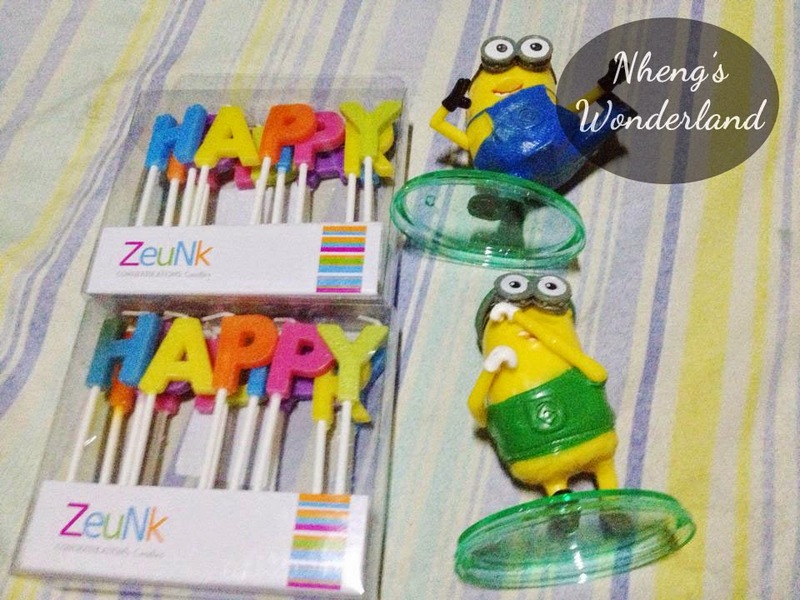 The Happy Birthday Candles are from National Bookstore and the Minion toppers are from Mom (Malaysia). These are the balloons that I attempted to make for Balloon Invitations. 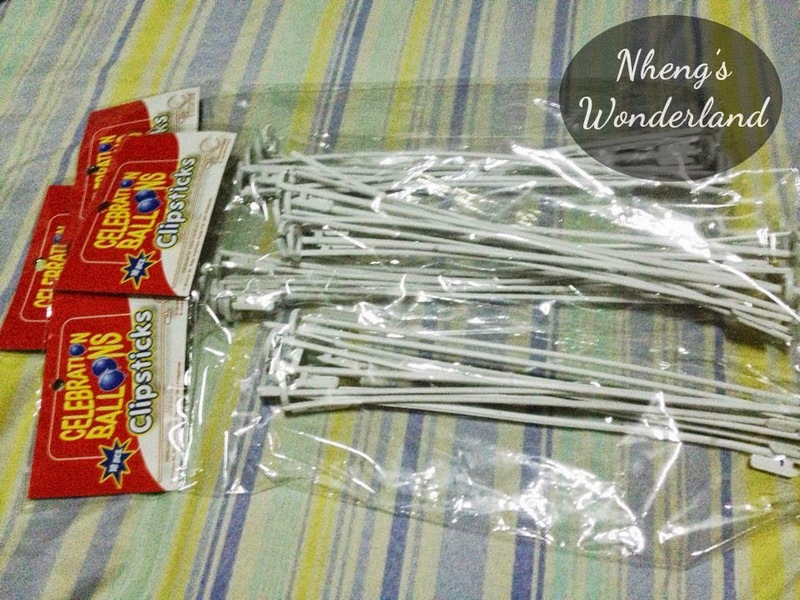 I bought these from DAISO, 88 pesos for 20 pieces which is actually cheap from buying the customized ones. 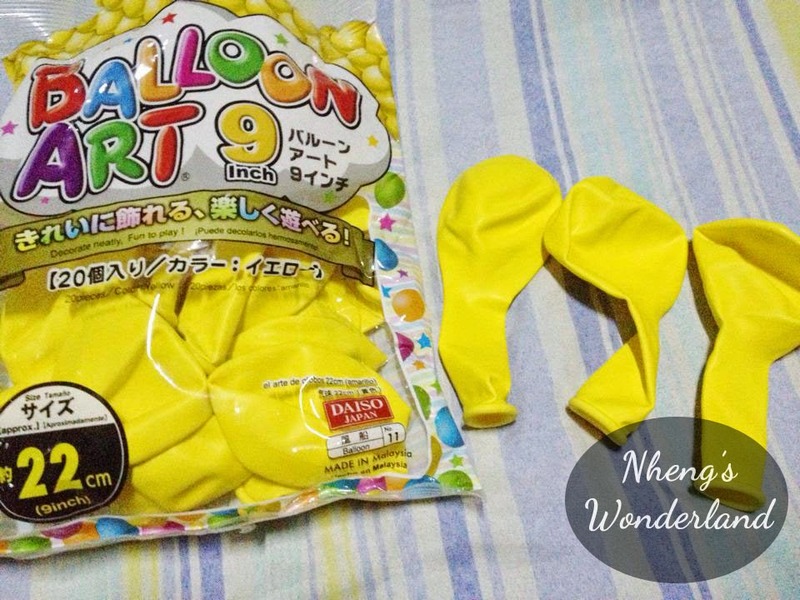 We are going to DIY the balloons with the clipsticks that I bought from National Bookstore and I also wanted to try making those balloon pillars. We have a lot of extra balloons in the house to have some practice. 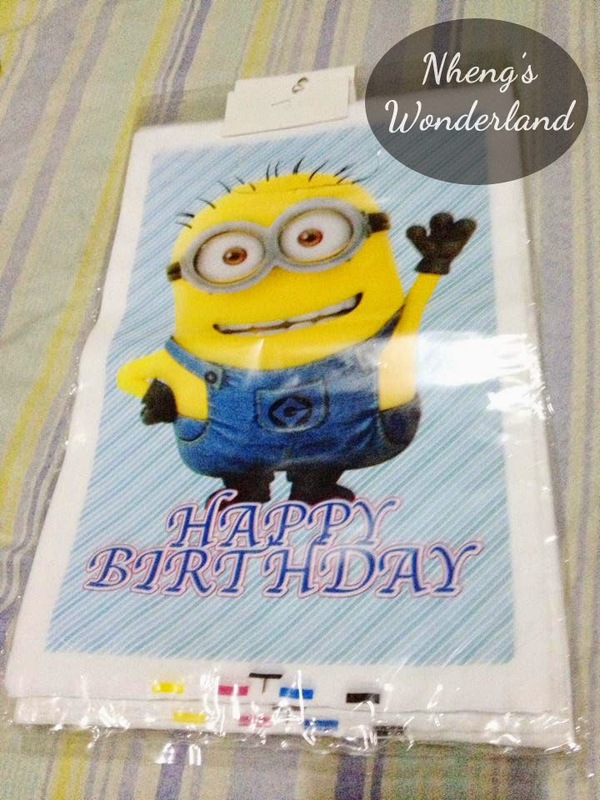 I hope I still have time pa. We also have the Minions Bean Bags that will be included as decorations. 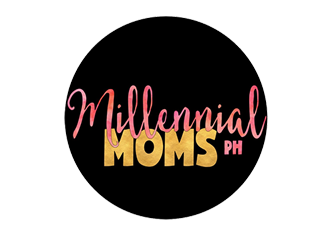 I am still missing on the backdrop, DIY Photobooth, Tarpaulin and the favors! I will order the cupcakes on Monday, the cakes on the day itself and the prizes/favors on the weekend. Then I am done. My partner is in charge with the food so I don't have to worry about that.